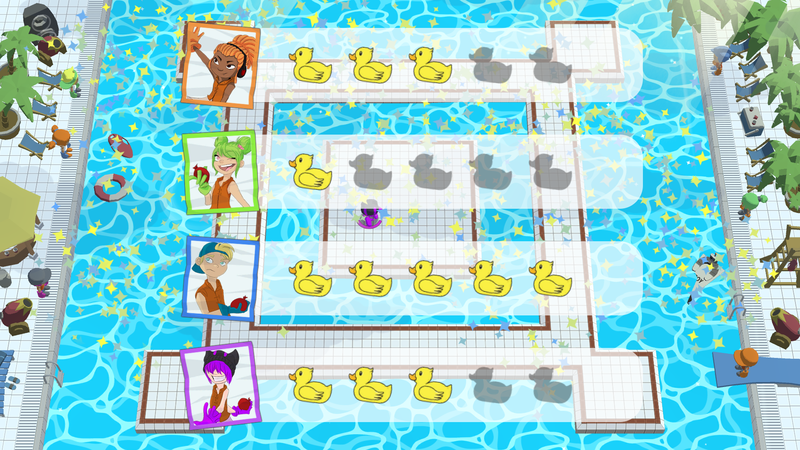 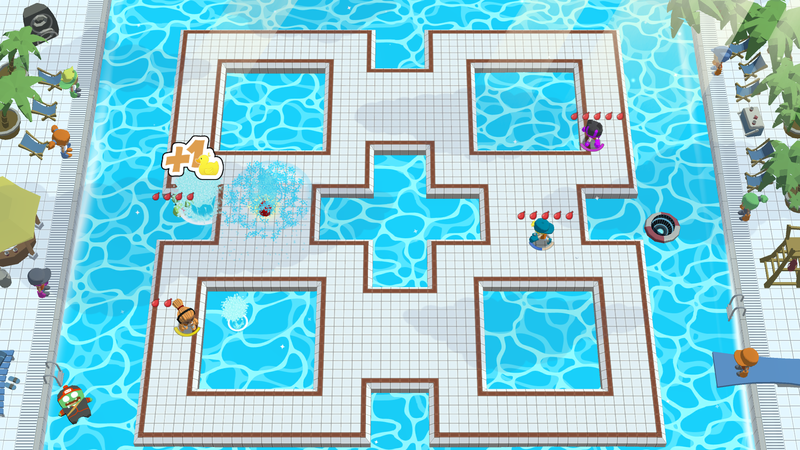 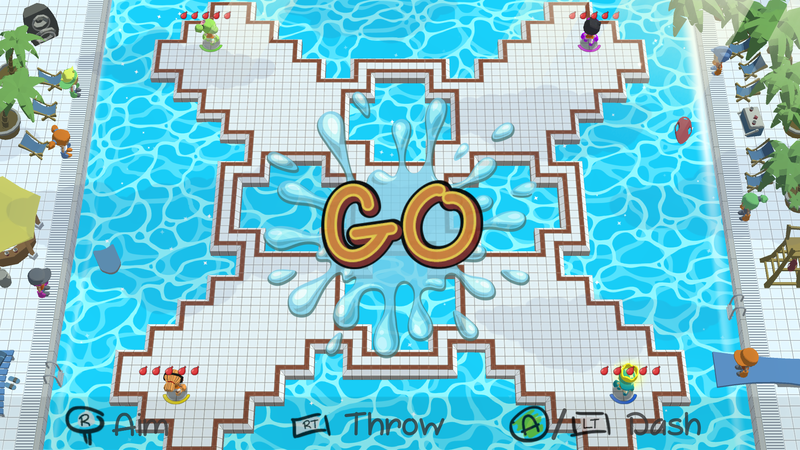 Pool Party Arena is a Local Multiplayer, in which 4 Friends can fight each other in an exciting Water Bomb Battle. 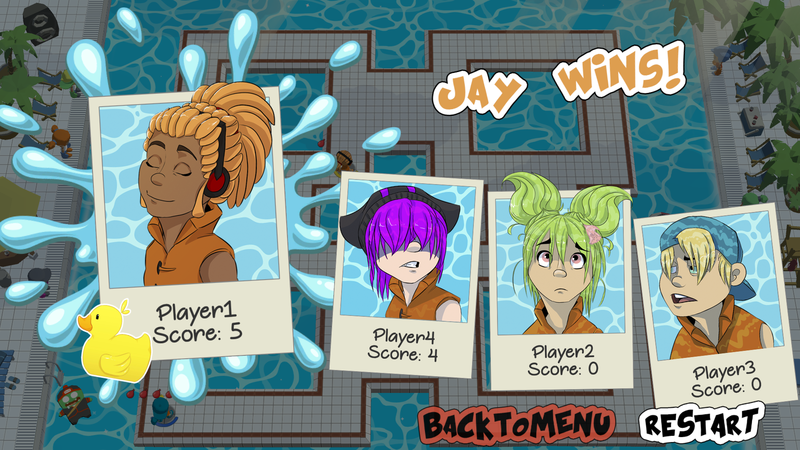 It features four unique Characters: Malva, Jay, Lester and Scratch. 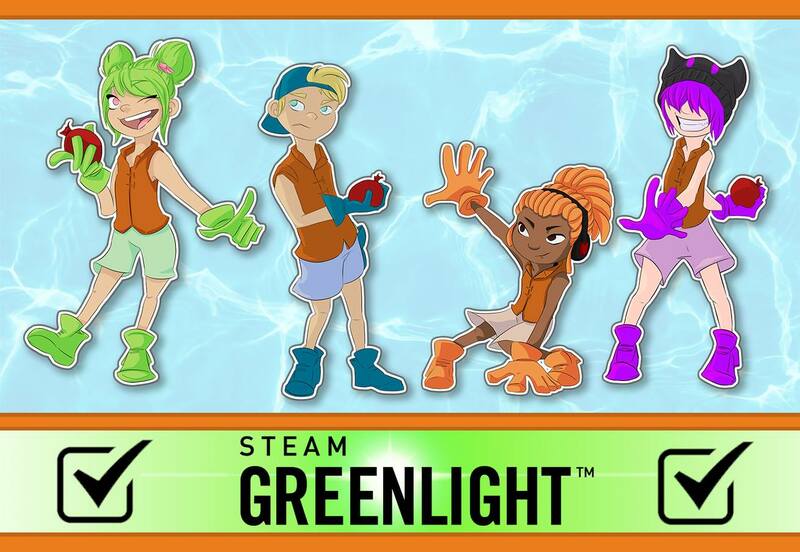 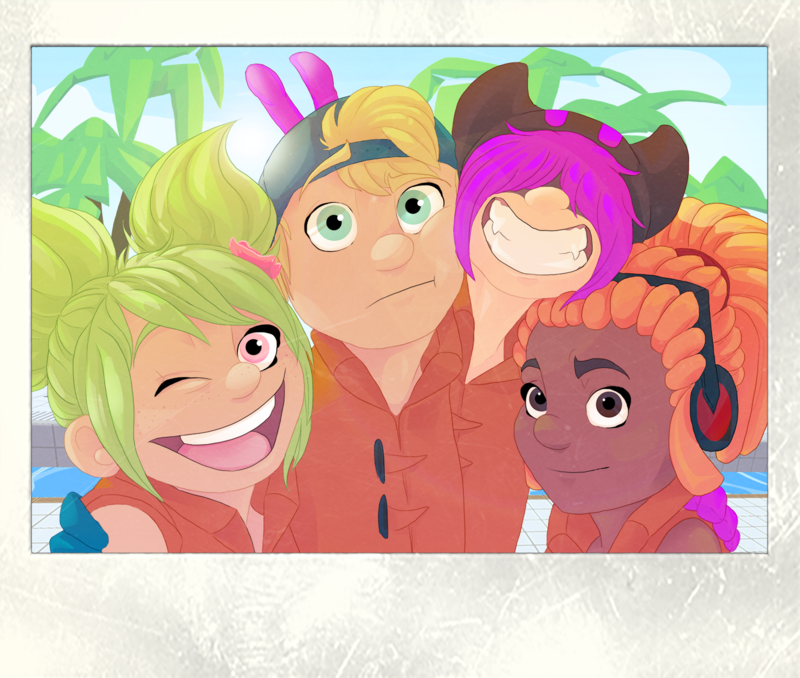 Every one of the Pool Party Teens has a unique personality and is fully voiced.